The Japanese language is one of the most challenging and unique tongues for a western person to learn. Its hieroglyphs and symbols completely differ from the familiar Latin script, yet, there are over 3 million students aiming to make Japanese their second tongue. A number of reasons encourage people to take language classes: some are attracted by the country’s abundant heritage while others are stimulated by the modern side of Japanese life – cuisine and entertainment elements such as sushi, karaoke or anime – to name a few. College students and young specialists are often attracted by the Japanese labor market – a highly technological and multi-industrial blooming zone with a huge potential for bi-lingual employees. Below you can see how learning Japanese may benefit you both from personal and professional perspectives. 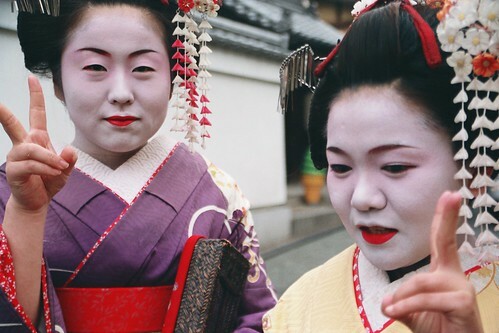 Despite modernization, Japanese cultural identity is well preserved and its original customs still have a solid impact on the daily routine. Throughout the last hundred years Japanese lifestyle has been gradually exposed to the outside world through books, movies, museums and art. Words like “kimono”, “hanami” or “tea ceremony” became strongly associated with the land of the rising sun. Translated films and books, however, cannot fully convey the true meaning behind the story; therefore historians, scholars or linguists are inspired to study the language in order to get access to the original literature, ancient scripts and other fragments of the Japanese culture. Japan is known for its rich cuisine traditions and pop culture. Many modern social elements that have become extremely popular around the world originate from Japan. Karaoke, anime or sushi are just a few examples that drive people to start learning Japanese. Some manga fans, for example, prefer to watch their favorite cartoons in their original version without getting distracted by the English subtitles. As it comes to karaoke, the Japanese language can come quite handy for those who plan to take part in a Japanese-speaking get-together party. Gourmet enthusiasts may enjoy preparing sushi, wagashi or other national delicacies using authentic recipes written in Japanese. Many young employees, graduates or students see Japanese market as a bright career opportunity for which the language knowledge is a must. Various industries and professional fields offer positions for skilled experts, including Japanese-speaking foreigners. Job offers range from IT and software consultants to entertainment and gastronomy specialists. Since Japanese business culture and working ethics differ significantly from the western traditions, many students choose to learn Japanese locally or from a native speaker – to get the outmost for the future career plans. For about 300 hundred years Japan and its citizens were cut off from almost all interaction with the outside world. Since the beginning of the 19th century the country has changed its isolation policy and a process of modernization has begun. Today it is a thriving, technologically advanced society that welcomes tourists, potential employees, foreign students or anyone wishing to get the authentic experience of this unique country.